First upgrades were a crate, anchor trolly and seat. So far I am loving this kayak. You may want to check this out? Very creative! Using the retractable leash for an anchor line is a super idea! You should post that in the Tips and Ideas forum and nominate it for the current tips contest. 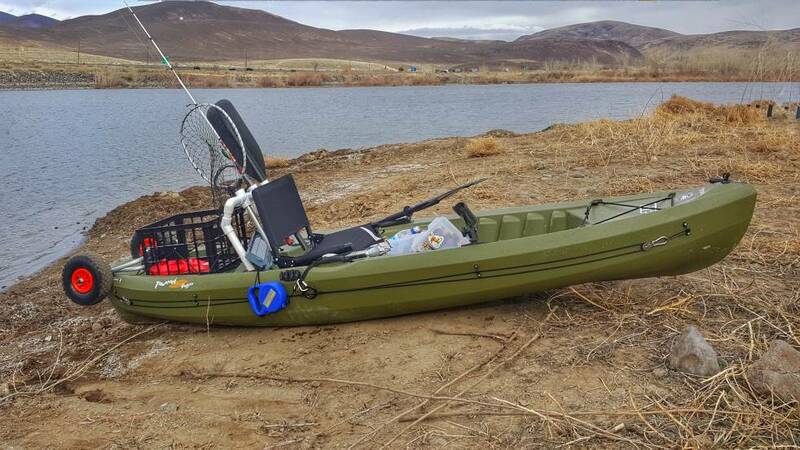 That's very creative ideas you came up with and hope you catck lots of fish for your yak. 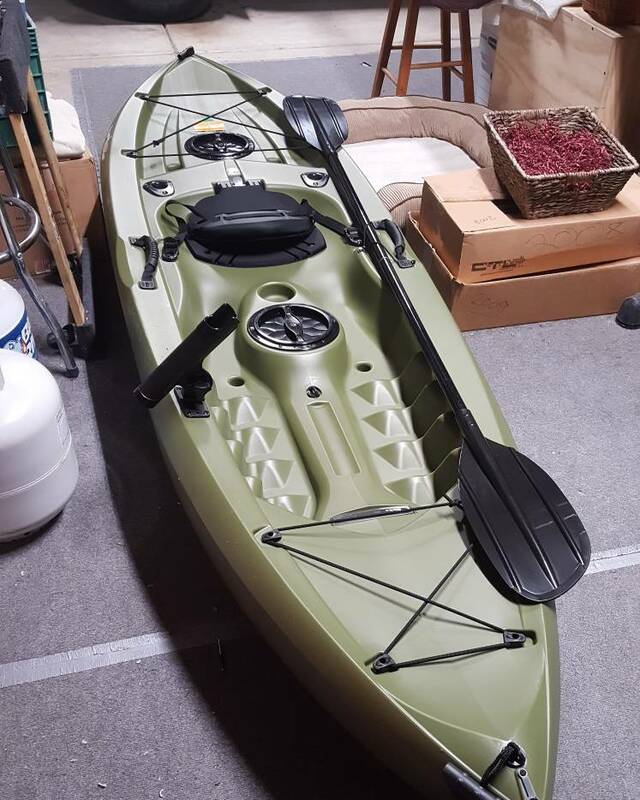 I have two kayaks and when someone asks which kayak I would recommend my reply is, "Whatever kayak that will get YOU on the water." For the price I'm loving my setup. 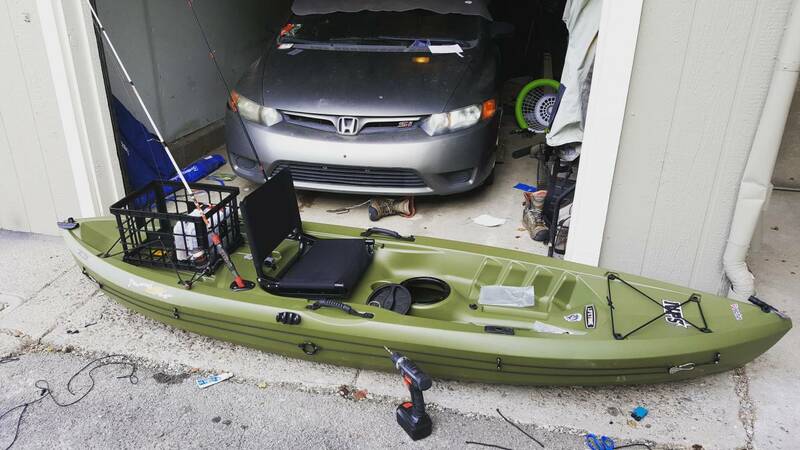 For absolutely everything, kayak and all accessories, I'm still at under $300, and everything was brand new. It covers a heck of a lot more water than my float tube. Not getting rid of the tube either by any means though too. I just see them as different tools for different situations. Kayak is nice when it's cold and access is easy. Tube can be nice when it's hot, and when access is difficult. It's a Cascade Stadium Seat. Ive heard you can sometimes find them fairly cheap at Costco, I never did though and just got it off Amazon. Its not currently attached in any way, but I am thinking of building some sort of raised frame for it. 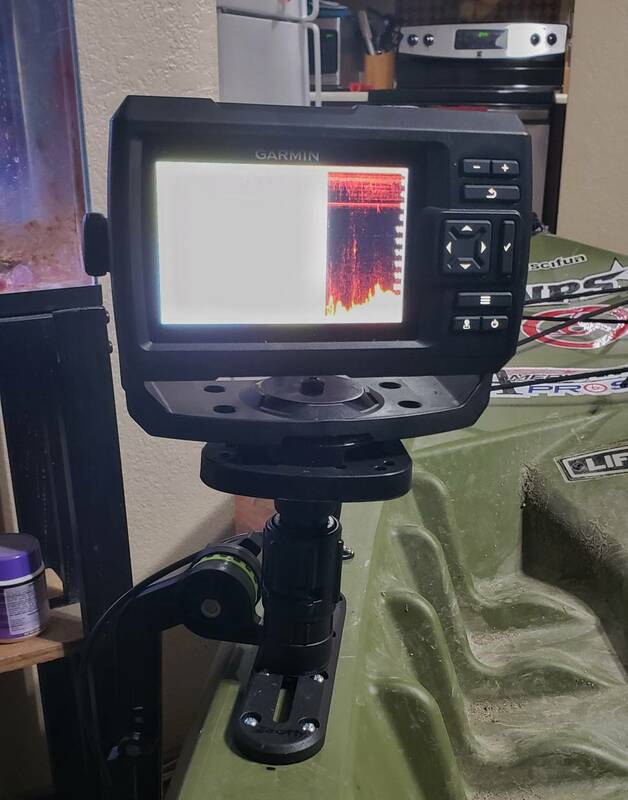 My legs get sore being straight out for a few hours from sitting so flat, and it would make it easier to stand/sit ( I've stood and fished the last few times out). That thing is looking good. 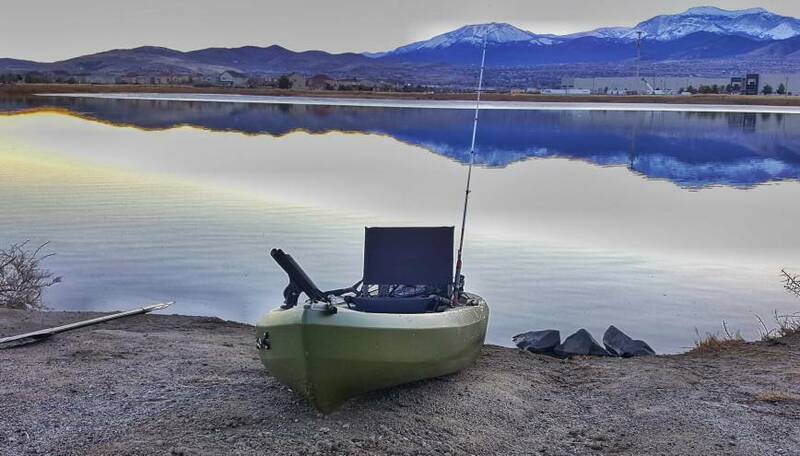 The pic of the maiden voyage doesn't even look real with the mountains and water like glass. I just see them as different tools for different situations. Tell me about it ... I tend to add to my collection vs replace. If you look close, you can see the entire back half of that marsh is frozen over. OH ... that's ice ... brrrr ... next time, start new hobbies in the summer. Hey Jason. 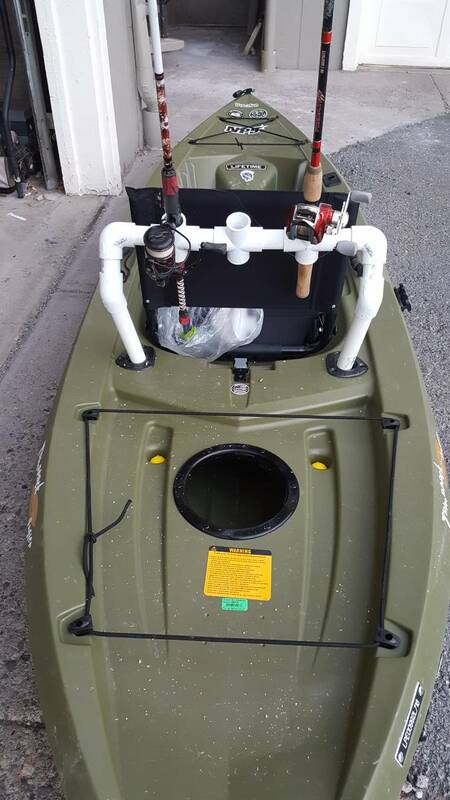 I recently bought a similar kayak and have been doing similar mods. I have my retractable anchor rope set up on my crate and I was wondering how you like it hanging over the side. 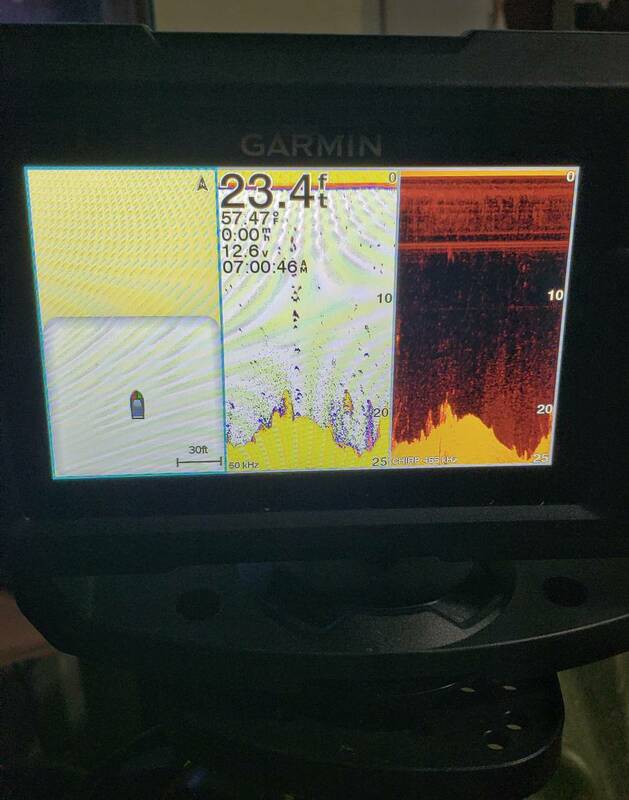 One thing I don't like about how I have it positioned is the anchor line sometimes wraps around my pole when it's in the holder. I like it, havent felt like I need to move it or anything. I just tied a small loop on the handle part, and use a small carbiner to attach it to a pad eye. Big news now, I think I just tripled the value of this thing! While I'm wiring in the sonar, I'm also going to install this USB power panel, will be nice to keep phone and cameras topped off. Was hoping to have everything fully installed this weekend, but I can't find a suitable battery anywhere locally, so I'll have to order one. I still might do what I can before that comes in though. 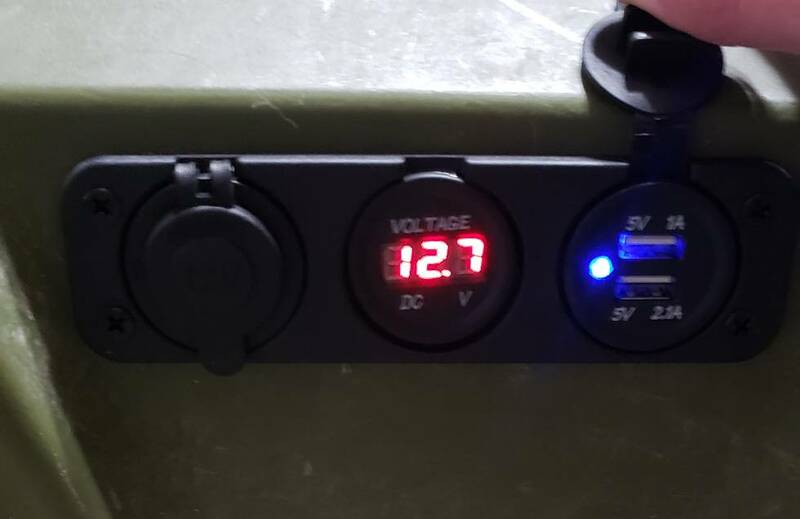 Got a battery, and everything fired right up once connected. Now I just need to pick a day to get out in the cold and actually install it. Sick of the Antarctic like weather here. Been very cold, and snowed all night. I got frustrated today and decided to just drag the thing in to my apartment and do the install. Video logged it to, will put that together tomorrow. But everything went well. That's a sweet looking set up. Bet you can't wait to get it wet and tested out. March can't come soon enough!